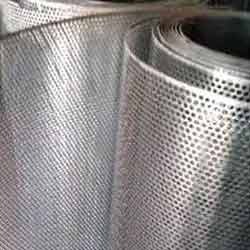 Prominent & Leading Manufacturer and Supplier from Ahmedabad, we offer Perforated Screen such as Stainless Steel Perforated Screen, Aluminum Perforated Screen and Ferrous and Nonferrous Perforated Screen. 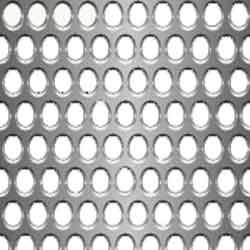 We are instrumental in the manufacturing and supplying of best quality Stainless Steel Perforated Screen to our prestigious clients. These screens are manufactured in accordance to the industry set parameters using good quality stainless steel sheets that are obtained from trustworthy vendors. Known for their seamless finish, durability and unmatched quality, our offered screens are widely demanded by our clients. With the assistance of our expertise and a team of dedicated professionals, we are engaged in the manufacturing and supplying of best quality Perforated Screen. These screens are precisely manufactured in accordance to the industry set parameters using finest quality aluminum that is obtained from authentic vendors. Offered screens are globally appreciated among the clients for their smooth finish, dimensional accuracy and nominal market prices. 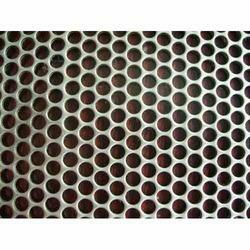 We are engaged in the manufacturing and supplying of optimum quality Aluminum Perforated Screen. Obtained from well established vendors, high quality aluminum sheets are incorporated in the manufacturing of these screens. Known for their durability, heat resistance and rugged construction, these screens are highly demanded by our clients. Besides, offered screens are availed in user defined specifications. Our vast industry experience has initiated us to offer the best quality FerrousPerforated at a competitive market price. These screens are precisely manufactured under the strict supervision of qualified professionals using good quality metal, latest technology and advanced machinery. Offered screens are appreciated by our clients for their uniform thickness and resistance to corrosion and abrasion. 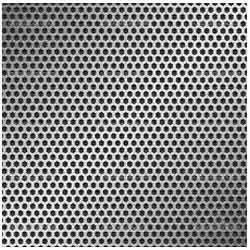 Looking for Perforated Screen ?